A massage chair pad is nice. A full-size, full body massage recliner is nicer. When you get the opportunity to use a massage chair like the Real Relax Full Body Massage Recliner, there’s no going back to the way things used to be. Your neck, back, and other areas of soreness feel the sweet relief of modern technology while you get to enjoy the added benefits of owning a top-quality recliner. What is nice about this model is the fact that there is an armrest linkage designed to it. You can use the embedded arm clip to create a pulse-type massage with the included airbags. Unlike other chairs, there is also a foot massage feature with this model as well. How Does the Real Relax Massage Recliner Work? There are 4 preset massage programs that can be implemented when using this recliner, allowing you to experience an automated massage. When the recliner function is used, allowing you to lie back in the chair, it produces a zero gravity experience that really helps the muscles to relax. In total, there are more than 50 different air bags that are used on this recliner, giving your entire body the chance to experience a reduction in tension. This is combined with 8 massage points that are installed in the backrest of the chair. Each feature and component is tied into the automated massage programs, providing a highly effective massage. There is also a built-in heater with this recliner that generates warmth around the waist. The goal is to encourage blood circulation. It can make you feel a bit sweaty if you use the feature long enough. For those who are taller, the leg feature of the Real Relax recliner does extend so the benefits of a lower body massage can still be obtained. This chair is rather heavy, weighing in at over 200 pounds. 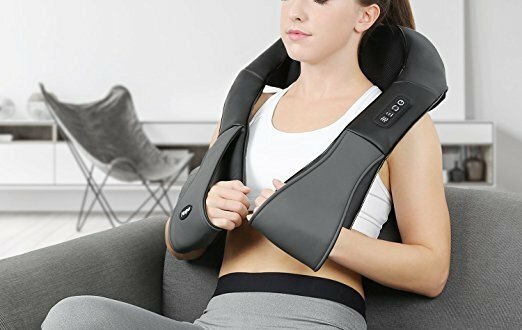 You’re going to need some help, in most cases, bringing this massage chair into your home. Expect curbside delivery in some communities. There is some assembly required for the chair. It should take about 15-30 minutes to complete. It does work well for individuals who are moderately tall. Someone in the 6’3” range should still be able to successfully use the chair. Any taller than that and the fit becomes a little uncomfortable. There are several pre-sets that can be used and the controls are rather simple. The fact that there are customization options as well make it a good massage option for most individuals. It can be somewhat uncomfortable to use the chair at first. Tough muscle knots tend to work out over time instead of immediately. Overusing the chair right away can actually cause more muscle soreness than it improves. The Real Relax Full Body Massage Recliner is an excellent investment for those who wish to enjoy the benefits of a massage at home. It requires some space and could be a tough delivery for some homes, but it exceeded our expectations and performed like a champ. That’s why it earns our highest recommendation. 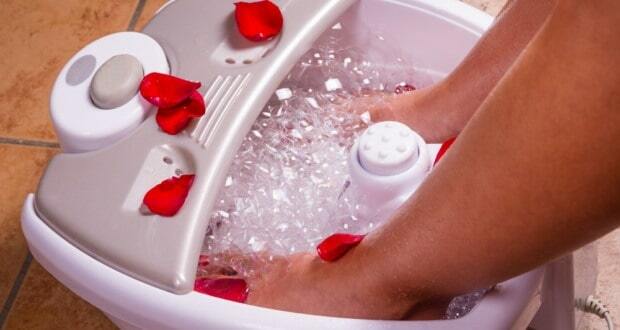 Searching For Home Massage Equipment?